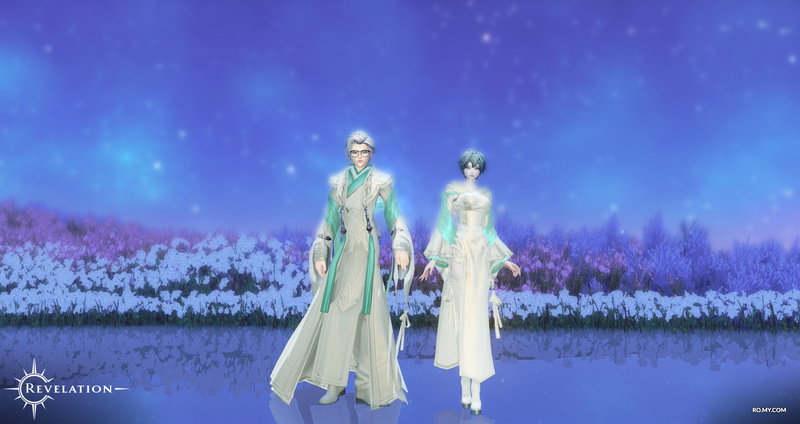 You just found your soulmate in Revelation Online and both of you are enjoying the honeymoon period of marriage? Well, good for you! And you should know that if you get along nicely, there are three intimacy milestones that you can reach: one at 6,000, another at 15,000, and the final milestone at 28,000 intimacy points. ∙ At 6,000 Intimacy points, your points will be capped until you complete a specific quest with your spouse. This will require you to head back to the marriage instance once more and speak to Rochin before teleporting inside. You will then need to head inside and speak to the Hyphaen Luta Tolador, obtain an item and hand it back to Rochin who is waiting outside of the instance. ∙ At 15,000 Intimacy points you will unlock an achievement known as ‘Hug it out’ which, in turn, will unlock a hug emote for you and your partner to use. ∙ At 28,000 intimacy points you will both unlock a special costume which is exclusive to married partners who have reached this stage. On the other hand, if you don't get along and decide that the marriage has to end, you need to go for the divorce. You can do so after you've been married for seven days and have to head back to the marriage instance to do so. Divorces don't come cheap – dare we say just like in real life – and you can do it in two ways: an agreement where both parties accept the divorce, which costs 10,000 Imperial Notes, or one person forcing the divorce while the partner doesn't want it to happen, something that will cost 300,000 Imperial Notes. Definitely think about it before doing something rash, and this both stands for marrying and divorcing. Oh, and in Revelation Online too!